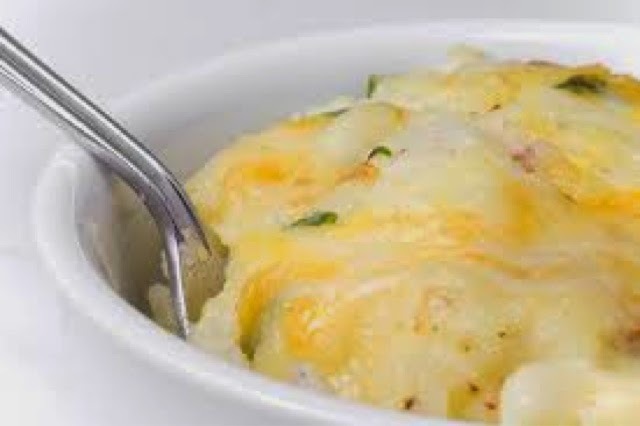 First Came Fashion: Cream Cheese Baked Mashed Potatoes. Stephen made these potatoes for my birthday dinner last night and I can't get them out of my mind. So delicious. Directions: Boil potatoes until tender, about 15 minutes. When the potatoes are tender, drain them and let them dry out a bit. Mash potatoes with the whole mils using a potato masher. Add in the cream cheese and smash until the cheese melts into the potatoes. Then add the scallions and season with salt and pepper.